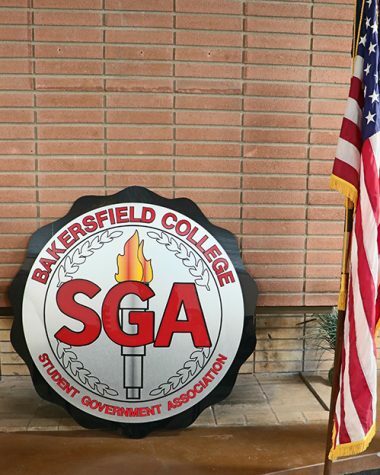 The Bakersfield College Student Government Association held a town hall meeting in Levinson Hall where students were given the opportunity to talk to their representatives about their concerns and ideas for BC. 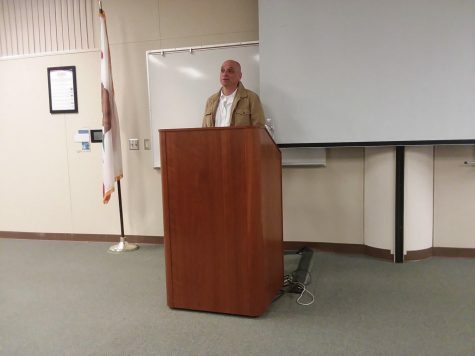 Current representatives for the Bakersfield College Student Government Association (BCSGA) held a town hall on March 21 at Levinson Hall where students voiced concerns, ideas, and learned about current resolutions being brought to campus. 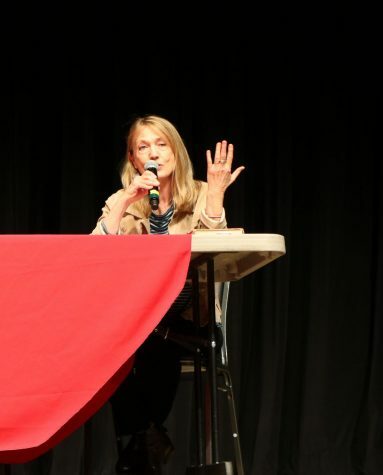 The main takeaways from the town hall meeting, other than student input, were current resolutions that are in the works for Bakersfield College and the upcoming BCSGA elections, which current Vice President Samantha Pulido said will take place April 8 – 11. BC students can vote online. 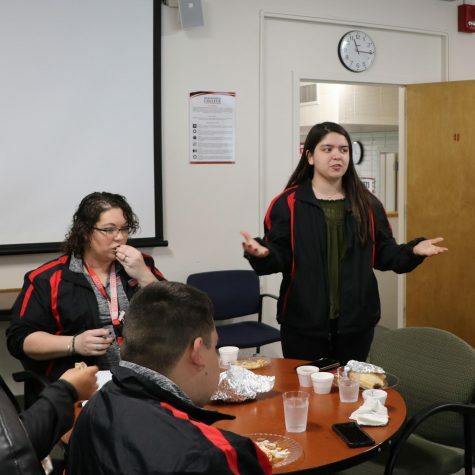 Beth Hilbe, the Director of Student Activities, and Lee Caldwell, the Student Organization Funding Manager gave insight about resolutions that are currently being discussed on campus. Samantha Pulido makes opening remarks about the nature of town hall meetings and encourages students for input on what they would like to see happen on campus. Two that will affect students concern parking at BC and the mental health services offered on campus. One of the resolutions is currently being read through in the senate and it pertains to student parking and public transportation at BC’s main campus and satellite campuses. This resolution will be put up for BC students to vote on during the BCSGA spring semester. Caldwell said the idea is to make parking at BC more affordable by making parking fees cost significantly less than before and providing more amenities with those fees such as providing monthly GET bus and Kern Regional Transit passes. The purpose of the resolution is to encourage more students to utilize public transportation. According to the addendum for the transportation services resolution there will still be a fee students have to pay each semester. But that fee would be significantly lower from the current rates with a flat rate of $18 each spring and fall semester and $7 for the summer. Currently, Bakersfield College charges students $40 for parking permits during the spring and fall semesters, and $30 for the summer. “You’re saving in the long run…but the students have to vote on this. That’s what the trustees are trying to implement…” Caldwell said. Pulido also mentioned that in the next senate meeting they will be discussing more on the parking resolution and encouraged students to attend. The meeting will take place April 2 at 9 a.m. and April 8 at 10 a.m in Levinson Hall. 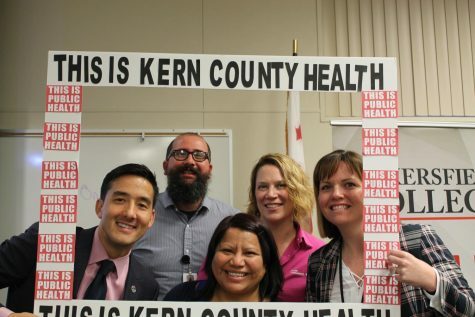 Another resolution spoken about during the town hall was more mental health funding for Bakersfield College. Pulido mentioned that this resolution was first brought up at a General Assembly by the Director of Legislative Affairs, Mustafa Barraj. “We pay the lowest amount for our medical… It entails so much. We have the most [number] of students as a community college, but we are also paying the smallest amount from health,” Hilbe said. With this resolution, they said it would add more people like counselors, psychologists, and secretaries to help with the impacted services. 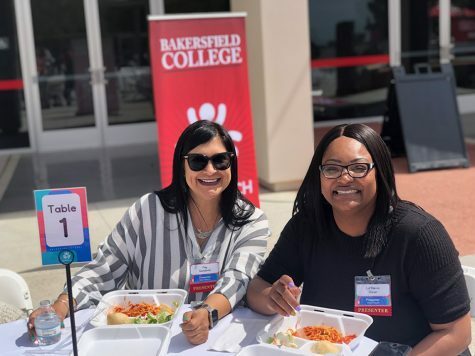 Hilbe and Caldwell explained that BC’s main campus currently only has two counselors available for students, and one in Delano which is only available part-time three days out of the week. “With that increase we are hoping to hire at least, what I heard, three to four [counselors]. So, they could have one full-time in Delano and another one here, and possibly a part-timer in McFarland, they just don’t know if the numbers are there yet.” Caldwell commented. 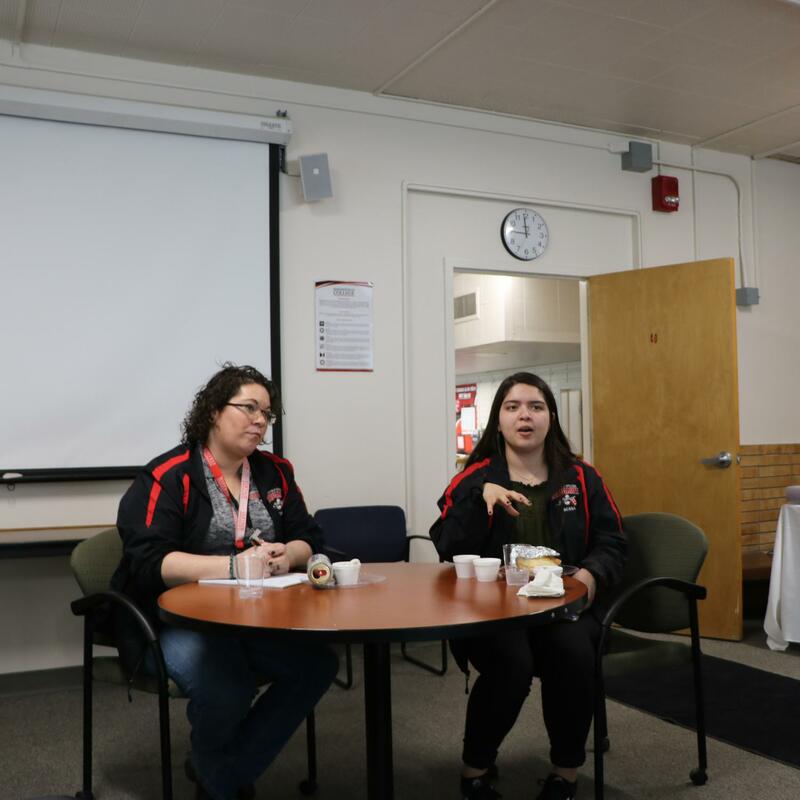 The Director of Student Activities, Beth Hilbe (left), and BCSGA Vice President Samantha Pulido (right) remark on BCSGA elections and talk about what it means being involved in student government.